This page will show a summary of your notification settings. 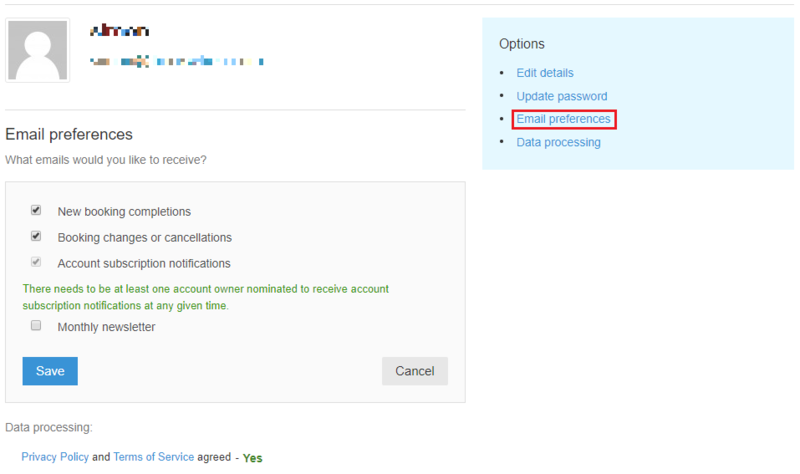 To change your notification preferences click Email preferences (screenshot below). You can only change the settings of other admins if you're an Account owner. You can be promoted by an existing Account owner at the page in step 1 below. Visit your Account details page. Now click on the small cog icon next to the admin's name. Click Email preferences, then click Email preferences again on the next screen. Select the emails you would like the other admin to receive and click Save.